"Alone I Stand", a brand new song from Massachusetts-based metallers KILLSWITCH ENGAGE, can be streamed below. The track is taken from the band's seventh album, "Incarnate", which will be released on March 11 via Roadrunner. 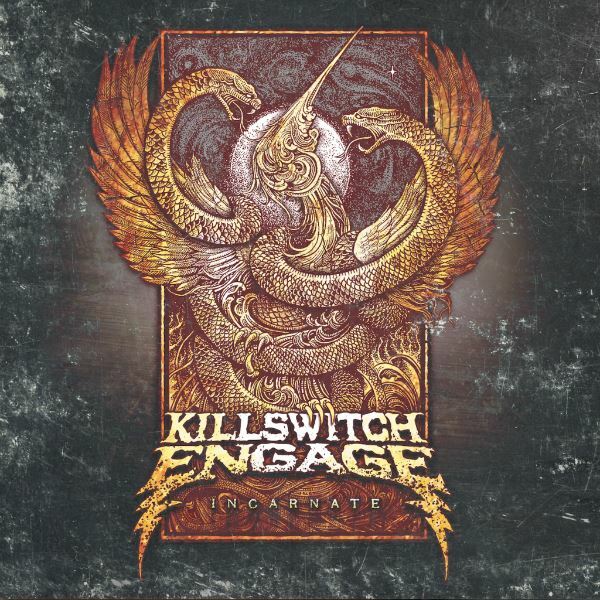 Asked in what way the making of "Incarnate" changed him, KILLSWITCH ENGAGE singer Jesse Leach told RockSverige.se: "I think it initially started out that I had an idea of what I wanted to do and where I wanted to go lyrically. I had a moment where I questioned stuff. I questioned myself as a writer, I questioned if what I was doing was the best it could be, and the answer was no, so I kind of spiraled myself into depression, almost purposely. I purposely put myself into a dark place and started thinking about the bigger questions of life, and from there I started to write stuff I never thought I'd write before and came to self-realizations about how I was raised and what I believe and don't believe. I'm in a good place now, but I question a lot of what I was raised with and I question a lot of my beliefs. All this stuff that surround how I was brought up, I realized some of that stuff I was just believing because I was taught it and I didn't really accept it as true. The way the state of the world is now and the way the American media has been aiming towards… between police brutality and gay rights, all these things that just upset me and anger me, I realized that the organization of religion and the organization of politics, I don't want anything to do with that anymore. Who we are as humans is so much greater than these confines that this particular systematic way of thinking puts on us. I think I liberated myself through a pretty heavy depression, but it was an artistic depression. I almost don't want to use depression; it was just a dark place. I didn't go quite down into the rabbit hole like I have before in the past, but enough so it affected my wife and she was worried about me. But, to me, it was like I needed to do it. I'd wake up in the morning and have extremely strong coffee and go out into the wilderness and spend all day just by myself and contemplate life and contemplate God. These heavy questions and I wanted to tackle that on this record, and I think that I did." 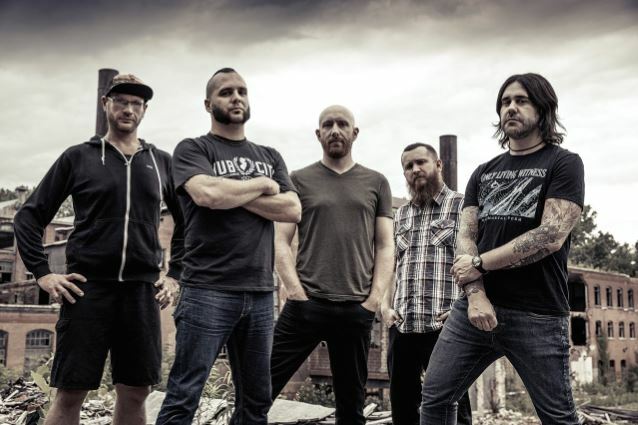 KILLSWITCH ENGAGE guitarist and producer Adam Dutkiewicz recently told Revolver magazine that Leach "hit a wall with ideas" during the songwriting process for "Incarnate" after completing the first three or four songs in the studio. "He couldn't find lyrics he was really stoked on," Adam explained. "But Jesse's a great lyricist and a great songwriter, so I just told him, 'Keep writing, and when you hit on something that inspires you, bring it to me.'" The band will embark on a North American headline tour shortly after the new album's release. They will be joined by MEMPHIS MAY FIRE and 36 CRAZYFISTS for the trek, which runs from March 16 in San Antonio, Texas to April 24 near Charleston, South Carolina.